If you suffer from Hypoglycemia, shopping can be a nightmare. Most of the products in our food supply are laced with sugar and other “food like substances” that predispose us to conditions like hypoglycemia, push us further into chronic metabolic disease states, and keep us on the terrifying “blood sugar rollercoaster”. What if there was a way you could “filter” out the the most harmful foods – based upon criteria developed by the Hypoglycemia Support Foundation – instantly and effortlessly? Surprise! An amazing technology solution by a new social enterprise start-up, currently in “stealth mode”, called “perfact” will soon be available to the HSF community on an exclusive basis – and it is 100% free. At their core, perfact offers a patented recommendation engine takes criteria combining any number of ingredients, nutrients, recommendations, or warnings from any number of sources and boils them down to a personalized yes/no instantly. If a product doesn’t match all criteria, the engine makes recommendations that do. The perfact “Criteria Store” makes picking criteria from experts, government and non-government organizations, publications, or any individual of trust as convenient as picking apps on the Apple AppStore. Like on the AppStore, all criteria, bundled into “filters”, are vetted for quality, have descriptions, and ratings. The HSF will soon be announcing a “beta group” trial of perfact – designed for people with hypoglycemia – so you can try it out for yourself. The processed food and cosmetics industries employ an army of chemists and engineers who literally use us consumers as human guinea pigs for thousands of processes, substances, and formulations that receive little oversight or regulation. While a given substance may seem innocuous, we really don’t know the effect it may have when it is thrown into the chemical soup that is our food supply or beauty product supply. We don’t know, but the preliminary data on the exposomic effects of thousands of man made chemical flooding our bodies is not good. So, the burden of proving a substance is “good for us” is on the companies that make them and put them in the products we buy. In the HSF filter, we only white-list ingredients that we can easily identify as real food or constituents; a key assumption being – “is it reasonable to believe this substance is good for us?” – vs. “we don’t think it is harmful”, or “no one has proven it is harmful to us yet”, etc. No added sugar No one “needs” added sugar – especially people with hypoglycemia – just eliminating this one substance could dramatically improve your health. Food Additives Like acetone and thousands of other chemicals called “food additives that are “Generally Regarded as Safe” by our government working in cahoots with industry, and little regard for consumers. Colorants Artificial non-caloric sweeteners like Neohesperidin dihydrochalchone… no thanks! Oils We allow cold-pressed oils, but most commercial oils are subjected to extreme processing and “thermal abuse” often turning seemingly harmless oils into substances that act like transfats. Flours Pulverize any substance, strip the fiber, germ, nutrients, and beneficial biota and you get “acellular carbohydrates” – strongly linked to causing metabolic disorders – so we restrict most of them. Dairy products Whole fat dairy? Go for it. But most of the dairy derivatives are on our suspect list. Flavorings Real food already has flavor – “Natural Flavorings” is often a cover up term for companies who don’t want to tell you what the substance really is (or really isn’t). “Everything added to food” The U.S. Government says everything on this list is ok for us to eat. Really? We think not. When you apply the HSF filter, 75% of the products being sold are screened out. Of course, you can still run out and by some Flaming Hot Cheetos, if you want, but now you will be *informed about what you are really eating. *Flaming Hot Cheetos Ingredients: Enriched Corn Meal (Corn Meal, Ferrous Sulfate, Niacin, Thiamin Mononitrate, Riboflavin, and Folic Acid), Vegetable Oil (Corn, Canola, and/or Sunflower Oil), Flamin’ Hot Seasoning (Maltodextrin [Made From Corn], Salt, Sugar, Monosodium Glutamate, Yeast Extract, Citric Acid, Artificial Color [Red 40 Lake, Yellow 6 Lake, Yellow 6, Yellow 5], Sunflower Oil, Cheddar Cheese [Milk, Cheese Cultures, Salt, Enzymes], Onion Powder, Whey, Whey Protein Concentrate, Garlic Powder, Natural Flavor, Buttermilk, Sodium Diacetate, Disodium Inosinate, Disodium Guanylate), and Salt. Sodium Diacetate is made by Mitsubishi Chemical. Sodium diacetate is Mitsubishi trade mark, categorized as composition of sodium acetate (described as a a shelf-life extending agent) and glacial acetic acid (a sour agent). Chemical suppliers and manufacturers typically produce sodium acetate by reacting acetic acid (vinegar) with sodium hydroxide or sodium carbonate. Sodium acetate is potentially flammable and should not be brought in contact with open flames. It reacts violently with some strong oxidants and strong acids like nitric acid or potassium nitrate. Under the right conditions, a mixture of potassium nitrate and sodium acetate will explode, so sodium acetate must be stored separately from potassium nitrate and other strong oxidants. This was just one ingredient in Cheetos. It isn’t food. And no one is saying this substance is good for your health. So, why eat it? 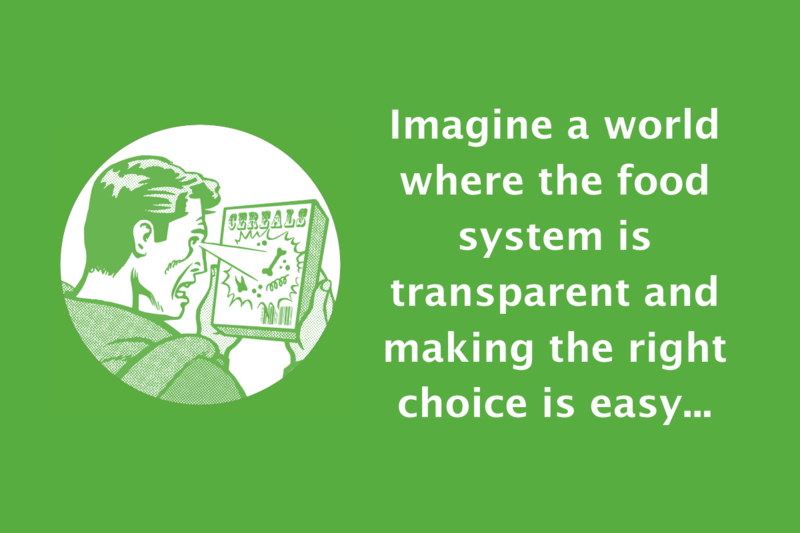 Now you have a clue why a service like perfact might be something you would find helpful when shopping for your food. Until the the perfact beta group is ready, here are a few shopping tips, based upon our criteria.